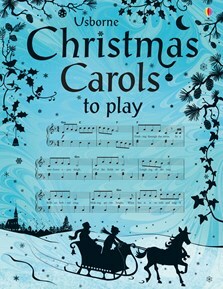 A beautiful collection of classic Christmas carols, songs and other seasonal tunes for young musicians to play and sing. Each carol has easy accompaniments for piano or keyboard and indications for simple guitar chords. The melody lines are also suitable for playing on the recorder, flute or violin, making them ideal for the whole family to join in. Includes key facts about the music as well as internet links so that young musicians can listen or sing along to the tunes online. An ideal Christmas book and one that will be enjoyed and rediscovered each Christmas for years to come. Children of all ages, as well as adults, will enjoy sharing a new hardback collection of Christmas Tunes, which contains traditional carols and seasonal music, with simple arrangements for piano and guitar accompaniment. Most of the big favourites are here... this is a collection to keep music lovers of many persuasions singing from the same hymn sheet. If you haven't got any Christmas music yet, then this is the perfect book for your children to start with! It includes 37 simple to play Christmas carols, songs and other seasonal music. The pieces have been arrange for voice and piano but can be played by many other melody instruments such as recorders, flutes, violins and guitars. There is also a metronome mark telling you what speed to sing and play and each song comes with a short paragraph explaining its musical background.